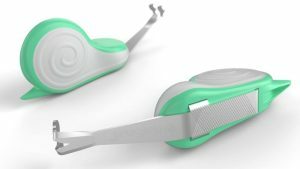 Australian family-run business Christie & Christie is launching a Kickstarter campaign on February 15 for the Nail Snail, the first substantial change in nail clipper design for over a century. The Nail Snail is a multi-purpose 3-in-1 tool for newborns that allows easy fingernail and toenail trimming, nail filing and under nail cleaning. CEO Julia Christie said the product’s easy grip handle, compact construction, and innovative ‘V’ shaped precision trimmer make it the best option for the care of babies’ nails. “It is a brand new, necessary tool that I’ve created and I am now ready to manufacture and launch it on the international market. Cutting baby nails is a huge challenge; ask any parent!” Ms Christie said. To enable the mass production, Christie & Christie have launched a Kickstarter campaign that will run to March 17, 2017. “This campaign enables pre-orders and the marks the beginning of manufacturing,” reads the company’s press release.